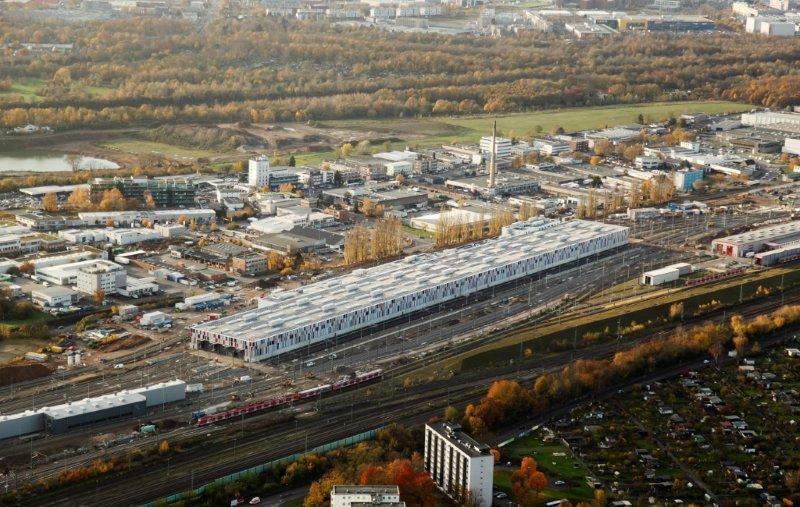 On 23 February 2018, the most modern railway service depot in Europe was inaugurated at the former marshalling yard in the district Nippes of Cologne. The depot is equipped with innovative drip-free, odourless and automatic operated Roediger supply and disposal systems. The plant covers an area of 23 hectars. In the future up to 16 ICE high-speed trains are to be serviced each night inside the maintenance hall. In order to operate the entire building CO2 neutral without the use of fossil fuels, Deutsche Bahn relies on geothermal use of groundwater as well as solar power. The air conditioning of the building takes a geothermal system with heat exchange and in addition, a 2100 square meter photovoltaic plant was installed. Roediger supplied containerized vacuum stations for the service depot and the interior cleaning facilities that are located outdoors. Furthermore, various wastewater pits with hose-reel systems, water supply pits, supply and disposal modules and cleaning cabinets have been supplied.